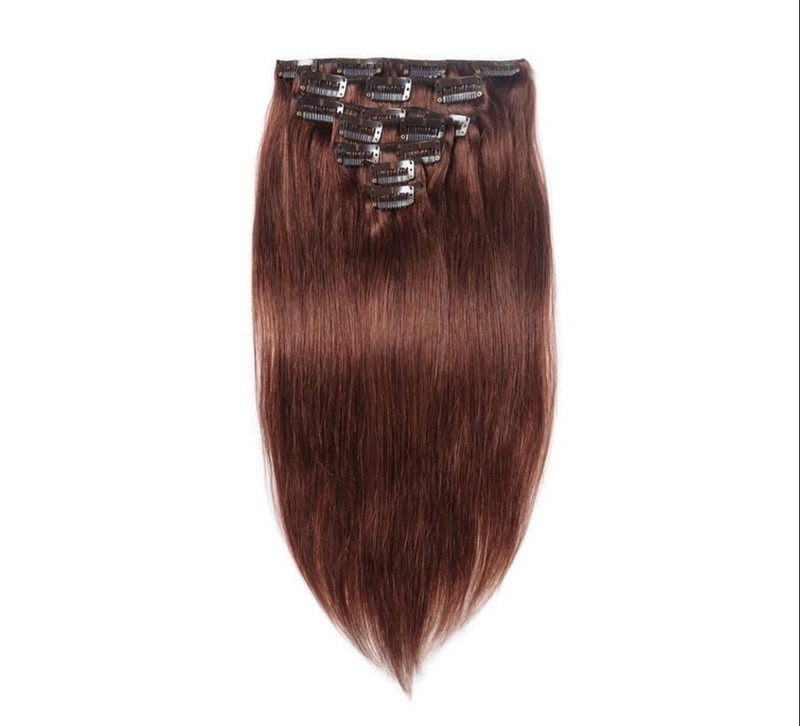 This Clip in Brazilian hair extensions is straight, red color number #33. The hair is human and tangling free. If you have thick hair we recomend you to buy 2 packages of 70g each total 140g for a more natural result. Extensions with clip in is easy to attach, it takes less then 5 minutes to get a glamorous gorgeous hair. Clip in causes less wear on your hair than other methodes of extensions. The hair extensions with clips can be attached and removed quickly and easily like any time.